On October 18th, the School of Communication + Journalism hosted a Career Panel featuring alumni from different backgrounds and different fields of communication and journalism. The professionals who attended and offered their insight to current SCJ Students were: Jose Cano, Regional Public Relations Supervisor at UPS; Kathleen Devaney, Social Media Producer at The Palm Beach Post; Monica Vaswani, HR Specialist at Ultimate Software; Brandon Castro, Instructional Design Assistant at FIU Online; Nicole Alvarez, Executive Assistant at Mishu Music; and Michelle Tennille, Co-founder of non-profit Iamajewel.org. The panel was coordinated by SCJ interns Abduallah Albeloushi and Raven Fox who guided the program with questions allowing the alumni to give insight on experiences both during undergrad and out in the “real world” post-graduation. The experienced panelists touched upon subjects like ‘a day in the life’ of someone in their profession, the importance of internships, graduate school deliberation, and what criteria they look for in hiring a recent graduate. “It’s never too late to start looking for internships. Internships are almost essential nowadays because many companies are looking for individuals with experience. It is also important to expose yourself to as many areas of your field as possible to learn your likes and dislikes.” said Nicole Alvarez, 2016 graduate with a B.A. in Communication Arts with a minor in Public Relations. After the panel session finished, the alumni and attending students had the opportunity to network and speak further. 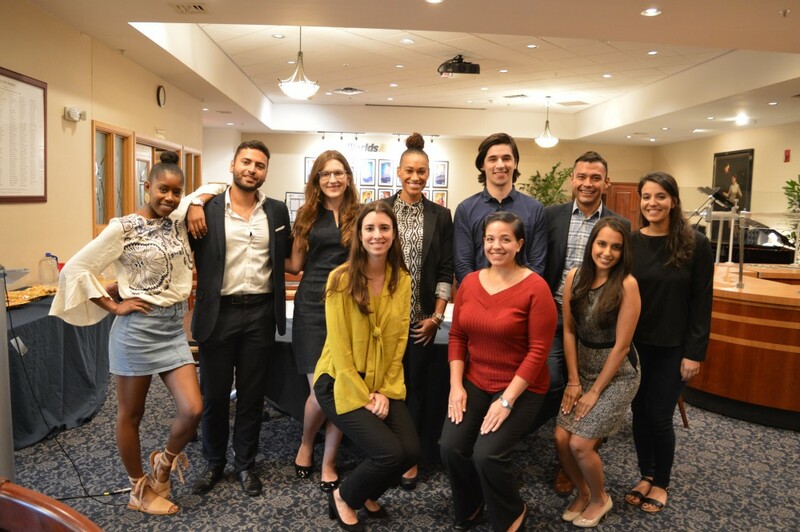 Overall, the event was extremely successful in showcasing alumni from different professional backgrounds and how they view their experiences in FIU as truly beneficial to their lives after college.